Is Ginger Really That Healthy? Ginger, the plant we often use as a spice, has been used in natural medicine for centuries. Mainly used to relieve digestive problems, ginger was also a remedy for inflammatory diseases, coughs, and colds. Although it’s still in use today in the form of supplements, the best way to benefit from the incredible plant is to consume it raw. Numerous studies have proven that ginger is as healthy as “advertised”. You can drink ginger tea to treat coughs and colds in the winter and support your immune system. It’s a great preventive measure against all kinds of infections and inflammatory diseases and is quite a cheap remedy as well. But, although it can do wonders for our health, doctors don’t recommend ginger if you’re already on certain medications. Ginger can interact badly with blood thinners or diabetes medications, so it would be wise not to use it if you’re already on them. Instead of taking diabetes drugs, why not try with ginger? Ginger can lower your blood sugar levels naturally and you only need less than 4 gr. for it. It can manage your insulin levels and keep your blood pressure in check at the same time. If you’re on Metformin and similar diabetes drugs, however, consuming ginger at the same time could create problems. Large amounts of ginger in combination with Metformin can cause a variety of digestive problems such as nausea and heartburn. So, if you’re already taking diabetes medications, it’s best to stay away from ginger. Or at least reduce the amount you’re consuming. 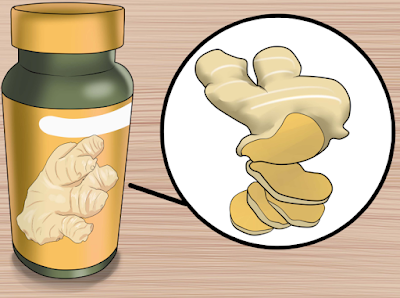 Due to its blood-thinning properties, ginger doesn’t “play” well with blood thinners. People on these drugs should be careful with the amount of ginger they consume to prevent eventual blood loss. Some of the drugs ginger does not “agree” with are Warfarin, Naproxen, and Enoxaparin. Consult with your doctor before mixing them together. If you’re already taking medications to lower your blood pressure, it’s best to stay away from ginger. Drugs such as Norvasc can interact with ginger in a bad way, causing your heart rate to drop down too low. This can lead to irregular heartbeat and other problems, so avoid consuming ginger (or taking ginger supplements) while on high blood pressure drugs. Although not a drug interaction, we feel it’s worth to mention that ginger can aggravate the symptoms of gallstones. Ginger has the ability to increase bile production, and since the gallbladder is connected to the liver via the bile duct (which stores bile), it can create problems. Ginger could also lodge gallstones in the bile duct which will result in intense pain. How Much Ginger is Safe to Consume? It depends on your tolerance. When using it for digestive problems or inflammatory conditions, it’s best to consult with your doctor. In general, 4 gr. of ginger is considered a safe amount, although you can consume more if you tolerate it well.